My Fluance SX6 Review - Can These Speakers Really Deliver for the Price? / My Fluance SX6 Review – Can These Speakers Really Deliver for the Price? When it comes to getting high-quality sound from a pair of speakers, the general consensus is that good sound costs a lot of money. In many cases, the quality of the sound coming from your speakers is directly related to the components within those speakers and better components cost more money. Makes sense…until Canadian-based speaker company Fluance broke the rules by offering a bookshelf two-way speaker that can hold its own amid a sea of speakers costing five times as much. Is the sound quality just as good as that $1,000 pair of JBLs you have? No ­– but it gets pretty close and considering that these speakers will only set you back $130 for the pair (check out this listing for real time pricing), it becomes immediately apparent that the Fluance SX6 is a serious contender for the space on your bookshelf or as a welcome addition to an existing home theater system. The SX6 boasts a contemporary design and exceptional audio performance that blows away other bookshelf style speakers in this price range. The acoustic range of the speakers is very accurate and provides a broad frequency response with very little distortion. 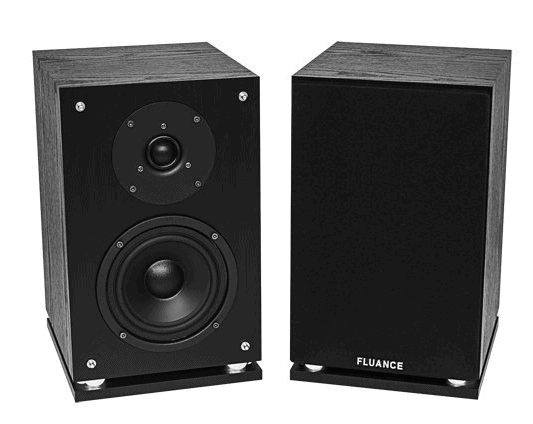 Fluance specifically designed these speakers to render newer digital audio formats as accurately as possible. Good audio doesn’t always come from high-end speakers. The SX6 features a 5” polymer-treated woofer and 1” soft dome, ferrofluid cooled dome tweeter to deliver crisp sound between 50 Hz – 20 KHz; a respectable frequency range for any speaker set, let alone one at this affordable price point. This makes the SX6 an excellent choice as a standalone speaker system but these speakers can also be used as part of your home theater system to provide more sound depth and clarity. Measuring approximately 13 ½” x 8 ½” x 9 ½” and weighing 12 pounds each, the SX6 is available in either ash black woodgrain vinyl veneer or natural beech. Both colors schemes boast an elegant look that is difficult to find in other speakers in this price range and although they take up a little extra space on the computer desk, the SX6 can even be used as a high-performance set of laptop or desktop PC speakers. Hidden underneath the magnetically-shielded removable grille are both the woofer and the tweeter. Each cone is surrounded by butyl rubber to increase durability and improve the overall sound radiation for a richer timbre. The back of the speaker case is home to the tuned bass ports for improved low frequency response and the banana plug connectors for connecting to any standard stereo setup. There are two key advantages that set the SX6 apart from other speakers in this price range. First, the bookshelf design allows Fluance to put some distance between the woofer and the tweeter. 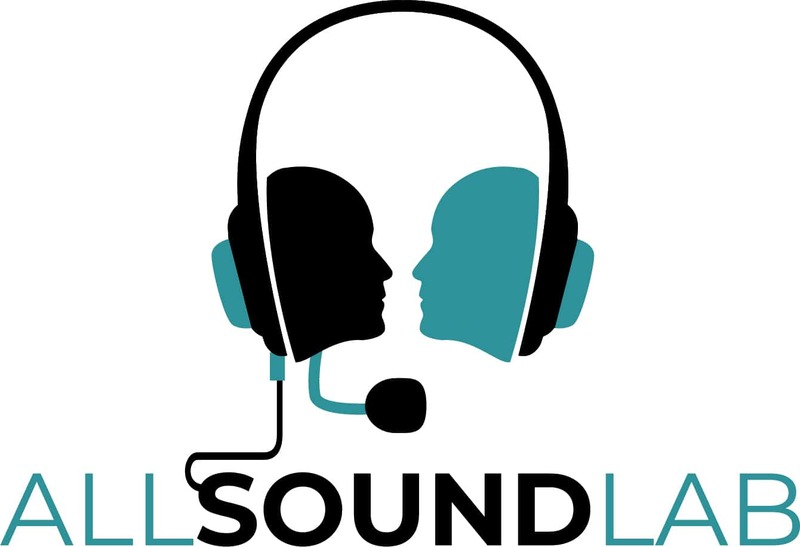 This designs provides true stereo separation for the best possible sound. Second, the SX6 provides exceptional sound quality for the price. As a mid-range speaker, don’t expect the SX6 to be as precise or as loud as more expensive speakers, but dollar for dollar, you would be hard-pressed to find a speaker that can outperform the SX6. The size of these bookshelf speakers – which are slightly larger than other comparable speakers – allows for true stereo separation by putting additional distance between the speaker cones. The result is an impressive sound from a set of speakers that are very affordable, yet still rely on premium components when needed. Perhaps the only area where these speakers fall short is when listening at low volume levels as the sound is rather flat until the volume level is brought up to a moderate, if not loud, level. The sound quality at higher levels blows most other bookshelf speakers out of the water although users who listen to music with heavy bass lines may find that the 5” driver doesn’t produce enough bass response to accurately represent these musical genres. A separate subwoofer is recommended in these instances but in the SX6’s defense, most speakers equipped with a 5” woofer suffer a similar problem, regardless of how expensive those speakers may be. The Fluance SX6 is an impressive bookshelf speaker system that can be used with a conventional desktop setup despite the large size of the speaker cabinets. These speakers are also right at home as an addition to an existing home theater system and produce a sound profile that is difficult to match with any speaker system in this price range. In fact, even speakers costing two or three times as much hardly sound better than these speakers so long as a massive bass response isn’t the only thing you’re after when shopping for a bookshelf speaker system. Overall, this is a formidable Fluance speaker system that cannot be overlooked. Sure…it’s a super affordable speaker system, but more importantly, it actually sounds good on top of that. You simply cannot go wrong with the SX6 bookshelf speaker system but don’t take our word for it – try them yourself. You won’t be disappointed. Check out this listing for pricing details. My JBL LSR305 Review – A Good Professional Studio Monitor?